There are bands that want to challenge their audience and themselves; they want to progress as far and as fast as they can, reaching new and perhaps difficult-to-digest levels of musical ecstasy that fulfill their creative spirit and demand dedication and commitment from their fans. 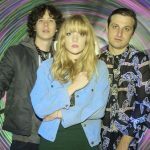 There are also bands who want you to nod along with their new batch of songs while enjoying drive, a cold adult beverage or just a nice day. 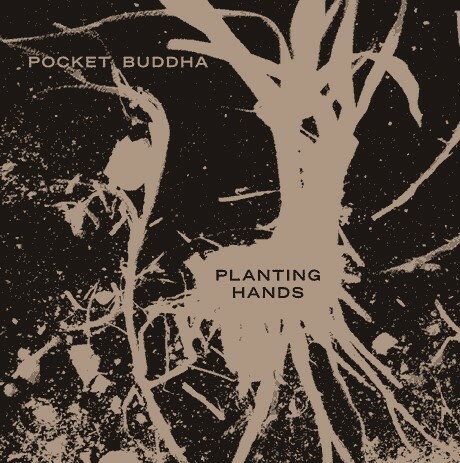 Pocket Buddha, a Columbia, SC quartet, falls comfortable into the latter category with their new album, Planting Hands. Pocket Buddha mixes acoustic-rock in the Blue Dogs mode with a low-key, here-goes-nothing delivery that is attractively casual. Singer/guitarist Darren Woodlief is a likable, shaggy-dog vocalist who harmonizes well with singer Kelley Douglas throughout the album, and even if they do occasionally stray a bit off-key, their voices blend well together on the Planting Hands’ nine tracks. The production creates an intimate, front-porch guitar-pull kind of feel, and the band enlists a little help from their friends on guitar, mandolin and fiddle, giving the whole album an informal, family kind of feel. The band recorded the second half of the album live-in-the-studio, and it’s an impressive testament to their skill and the sturdiness of their songs that there’s no noticeable falloff in quality or performance throughout Planting Hands. This is an album that could easily be filed under “Americana” or “alt-country” or just “acoustic music” with ease, and the word “pleasant” repeatedly comes to mind as one mid-tempo shuffle after another flows easily from the speakers. It would all be a little TOO smooth, actually, if it weren’t for one oddly compelling track that comes smack in the middle of “Planting Hands.” The song is called “Meth Head,” it was written and performed by keyboard player Stephen Stokes, and it’s utterly unlike anything else on the album. Over a hilariously understated slide-guitar-spiked loping groove, the lyrics throw in references to Iron Maiden, drug tests, the DMV, and, naturally, Satan, and it’s a track that demands repeated listenings just to hear the words again. It’s an adorably odd song, and it bodes well for Pocket Buddha’s future that they can extend their grasp to take in the unexpected.